This post is not a comparative between Outlook and Gmail, maybe some other post for that. Here we will explain how you can have Gmail split pane view to enhance your email reading experience. During last few years I have been switching between Gmail and Outlook a lot. While I like some features of Outlook I love Gmail for certain other features. Recently I discovered one feature in Gmail which I really missed compared to Microsoft Outlook. Outlook offers a split panel view. In this view my email window is divided into three columns with first column containing the name of the folders like “Inbox, sent items, drafts, etc.” , second columns contains my email list and when I click on any email in the second column then the email is loaded into the third column. I really like this feature as I can instantly see what an email is about and don’t need to click the back button to read another email. This really increases my speed at which I can scan my emails. 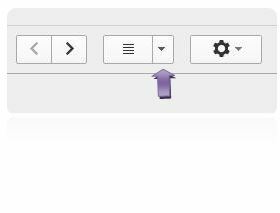 Better in fact I can browse my inbox using my up and down arrow key. Seeing all the advantages of split window I was really happy when I recently discovered that I can have Gmail split pane view as well, just like in Outlook and enjoy the same kind of experience. 4. Choose the vertical split option. You can choose Horizontal Split as well. Tip: You can resize the individual column by simply placing your mouse on the respective column split and dragging it as per your liking. Just for fun choose “Horizontal Split” option to see what it does. 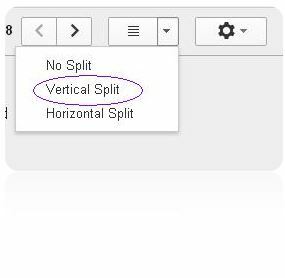 Don’t worry, you can again choose “No Split” to do away with Gmail split pane. I know there are tons of awesome features that Gmail offers, but out of all the features this one feature has really made my life easy and now I can scan tons of office email in 15-20 minutes. This saves me precious time and hence I thought I should share this with the readers.